At Horror-Rama 2015, I realized early on (just like last year) that I'd be spending far more than I'd ever make back selling books. But that's OK, because writing isn't yet my day job! And seeing as though Mike from Toronto's Hollywood Canteen would be there, well, I was pretty much guaranteed to spend a few dollars at his booth. My latest addiction, which I've mentioned in past blogs, is collecting lobby cards from Canadian horror films, and I'm especially interested in foreign-language pieces (this is slowly bleeding into a side hobby of collecting foreign-language film posters, but I'm doing my best to stem this one before it gets out of control). Mike did not disappoint! I picked up a nice set of Spanish-language lobby cards for David Cronenberg's Rabid (1977). Canada has its own share of urban legends and spooky folklore, and sometimes even our own government entities like to celebrate this fact. On June 13th of last year (a Friday, of course! 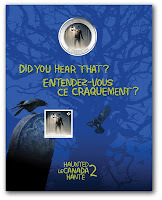 ), Canada Post unveiled a set of spooky stamps called the "Haunted Canada Collection"; although not quite as quirky as their "Haunted Stamp House" from 1997, it's still a worthwhile investment for those who are interested in such homegrown horrors. 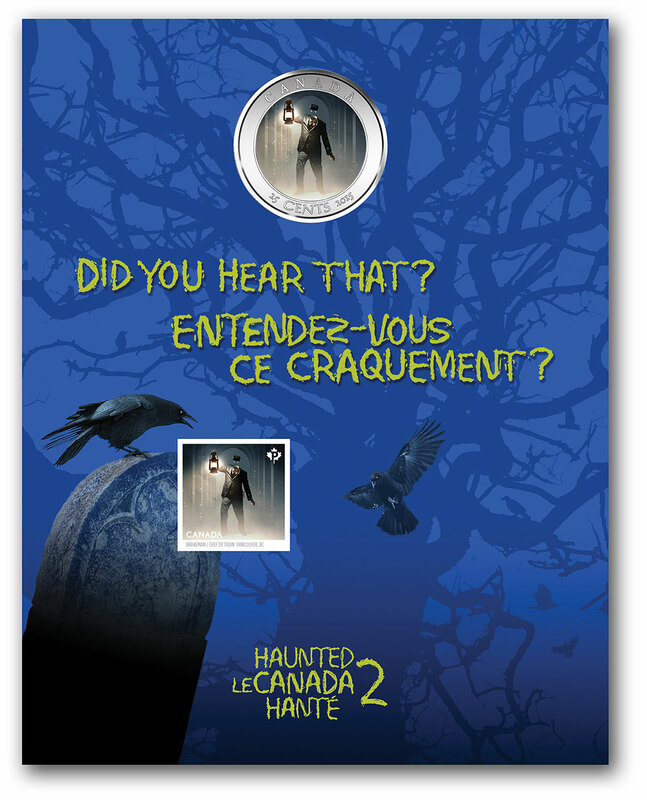 This year, they've returned with Haunted Canada 2, which unearths five more spooky Canadian ghosts from across the country.